Gov. Tim Walz signed an executive order Thursday in response to Nebraska's request for helicopter support. Gov. Tim Walz has sent Minnesota Army National Guard troops to Nebraska to help with the flood disaster. Walz signed an executive order Thursday in response to Nebraska's request for helicopter support. Minnesota sent one CH-47 Chinook helicopter with 10 personnel to support flood response operations in Nebraska. It's a heavy-lift helicopter that carries troops and supplies. Flooding along the Missouri River has taken a heavy toll in Nebraska, southwestern Iowa and northwestern Missouri. Hundreds of residents have been displaced. Nebraska Gov. Pete Ricketts says flooding in his state alone has caused nearly $1.4 billion in losses. 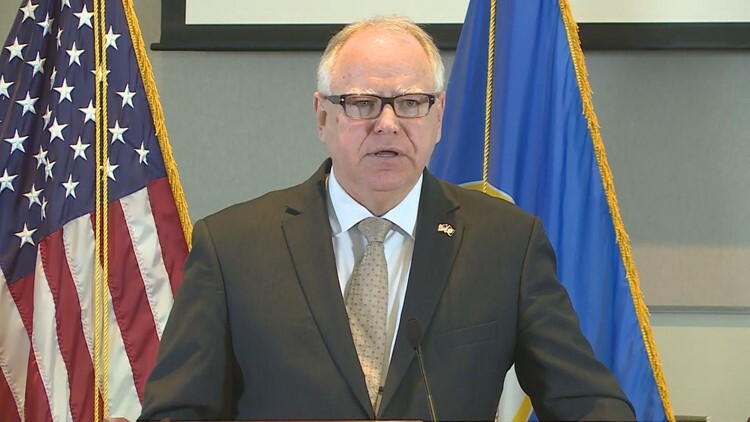 Walz, a native of Nebraska and retired Minnesota National Guard member, said in a statement that there's no question the flooding calls for "critical, efficient and fast action" to protect lives and property.